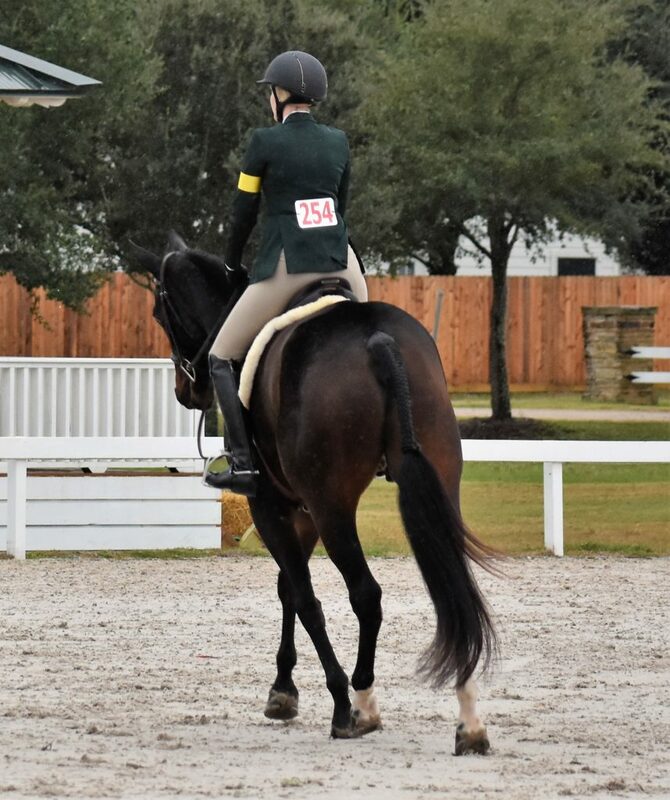 Rio and I are freshly back from Katy, TX (just outside of Houston) where we competed at the GSEC Autumn Classic Zone Finals. This show was also the Zone Finals for zone 7, which basically means way fancier ribbons and awesome swag bags. Definitely did not hate that. They also had incredible compm complimentary food set-ups for competitors throughout the show. I’m talking a mac n cheese bar, bread bowls filled with tasty soups, BBQ, and a catered diner with rosemary roasted chciken served ringside during the $25,000 Grand Prix- aka the works! Big thanks to McKenzie for grabbing my camera last minute and taking some photos! Rio got there on Monday, and I arrived first thing Wednesday. Trainer Julie rode him in a 3′ warm-up class in one of the indoor rings (this show complex is huge with like umm 10 or so rings), and he was a bit of a wild boy. 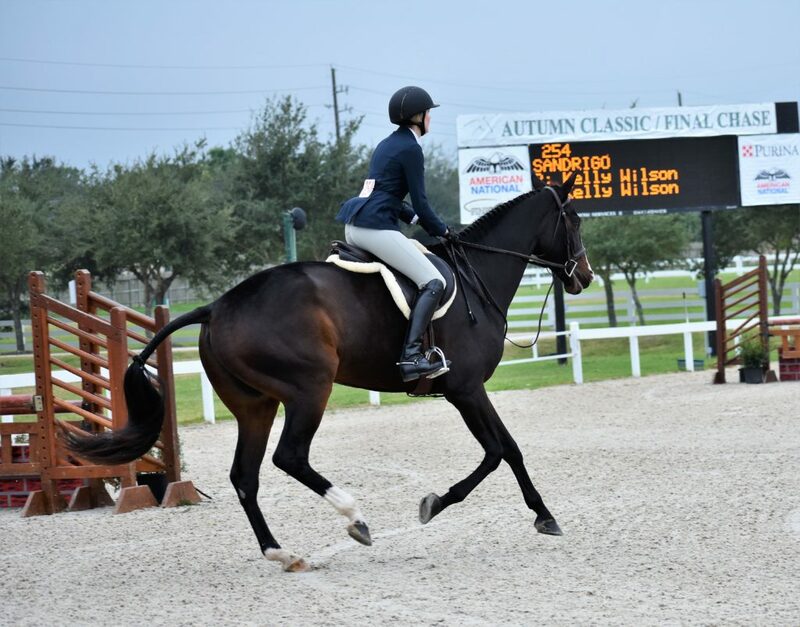 He warmed up really well, but you could tell that when he walked into the show ring he was a bit over whelmed with the whole atmosphere, and was very fresh the entire round. Not bad by any means, but more jumper-esque then hunter-esque. Not exactly what we are going for, but at least it was a starting point. I was very proud they he jumped around bravely though, as many horses seemed pretty iffy about some of the jumps. Very thankful that Rio continues to prove himself as a brave boy in new places. 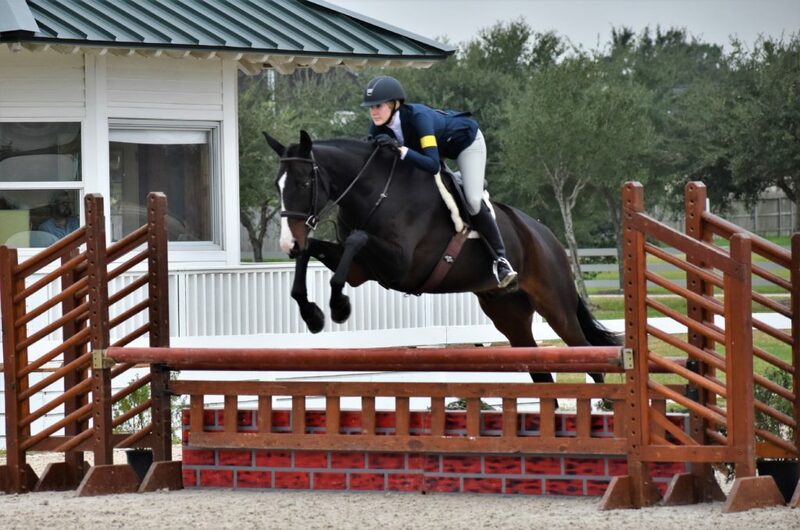 Since he was so excitable in his round Trainer Stacie decided it would be a good time for me to hop on for a short school. We transitioned to one of the outdoor warm-ups, which is where we would actually be competing, and he settled right down and went to work. We jumped a few of the warm-up jumps and called it a day since he was obviously much calmer in the less stressful atmosphere. After some discussion, I decided I wanted to be brave and do the warm-up round myself on Thursday. 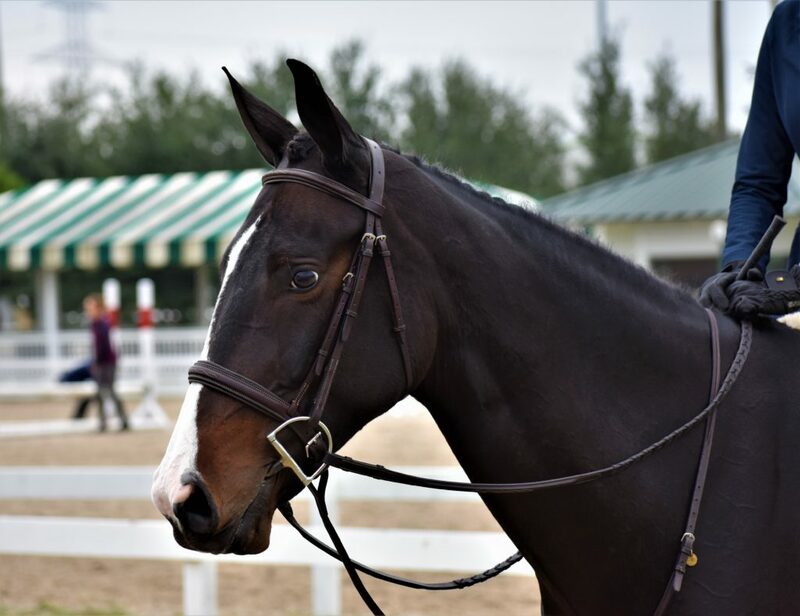 Trainer Julie did it at our last show to provide a solid foundation and make sure the changes were there, but I was feeling pretty good about our ride and wanted to work through it myself this time. The warm-up course wasn’t exactly inviting with a 2 stride being the first combination on course. Rio is used to seeing it later on the course, and I wasn’t too positive how well it would go. Although he looked hard at it and I had to cluck a bit, he stayed brave and went through it well even if we ended up a bit deep to the first element. We survived our warm-up with no major drama and I was feeling really good about it! I’m very much in that stage where if we jump all the jumps, don’t break gait, and get all of our lead changes, I am QUITE the happy camper. Between my nerves and Rio’s inexperience, I try to set reasonable &achievable goals to maintain perspective. I do not get hung up on a few iffy distances here and there, as I feel lucky to be showing at this level and in good company without any major incidents. 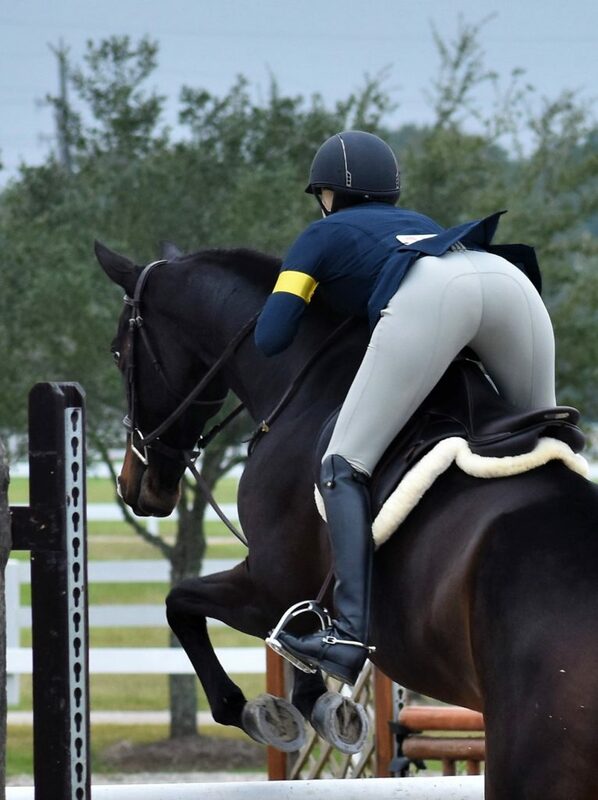 Our 2 Adult Amateur rounds went just as well, and even smoother then the warm-up. Rio was a bit quick and excited through some of our changes, BUT WE GOT THEM. I didn’t always bring him back quite enough and re-balance after the changes, which lead to me carrying him a bit in an effort to keep it all together, which in turn made some distances harder to find. But, it was all little stuff, and I was able to learn from each round and make small adjustments. One of the coolest things about this show is that they video every round, and then have screens set-up outside of the ring and they do instant playbacks. You can literally walk out the ring and then watch a replay of your round and go over it with your trainer. It is pretty freaking neat if I say so myself. Overall, it was a great first day for sure, and I couldn’t stop smiling after we finished. Yes! 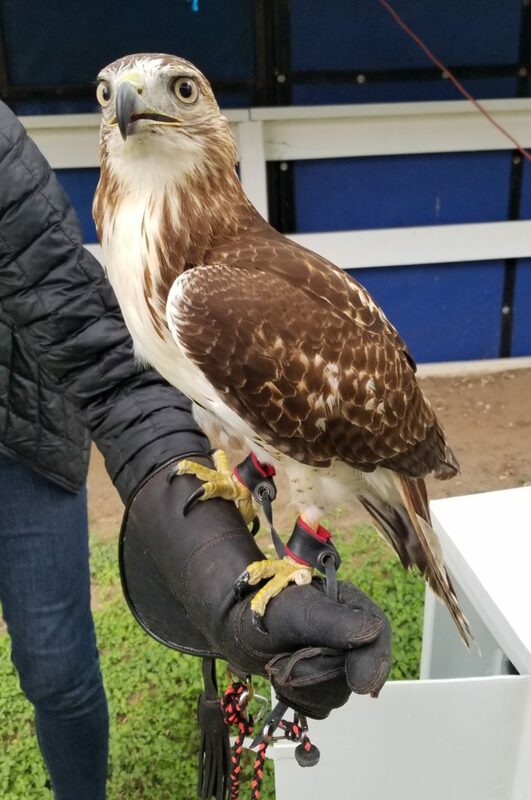 This is a Heavywings, a red tailed hawk! She is about 6 months, and has been with Britt for about 3 weeks now. I even got to pet her. It was seriously AMAZE. After the tour, my barn mates and I all enjoyed some great snacks and even better wine. 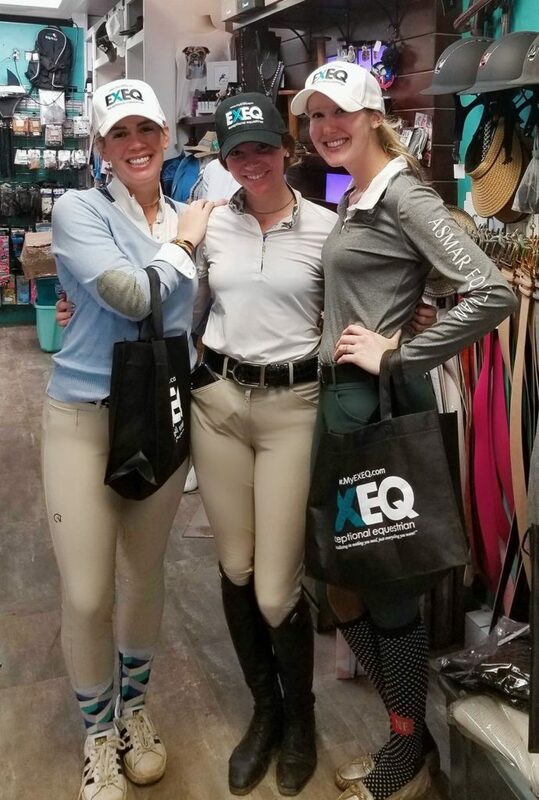 I also snuck in shopping at one of my favorite show vendors- Exceptional Equestrian. I’ve been wanting to try Romfh Sarafina breeches for AGES and I finally bit the bullet and snagged some. They are crazy comfy and I will have to do a review soon. Definitely not a bad way to wind down after a very fun show day! GSEC Adult Amateur O/F Day 1 from Kelly W on Vimeo. What a nice start! This makes me slightly nostalgic for the Katy shows… they always have great food. Also the J in JK Videography is my friend Joanna! Sounds like a really great start to another wonderful show with Rio! What a great show and OMG the food sounds amazing!! Glad to hear Rio was such a good boy for you, you guys have come such a long way this year! great time it sounds like. And yay you doing your own warmup!! That sounds like a great show! Wow! That sounds so incredibly exhibitor friendly! I wish more shows were like that. You two are looking fantastic! Glad Rio and you both brought your A game! Thanks Stacie! I’m a bit bummed I liked it so much- being the furthest Texas show facility from me and all! I’m still flabbergasted by the food offerings. WOW. Totally different world for sure. I love how bold and brave Rio is at these new venues. It sounds like you both were pretty on point with everything!